Uglyworld #789 - Memorising the Plan (268-365), originally uploaded by www.bazpics.com. 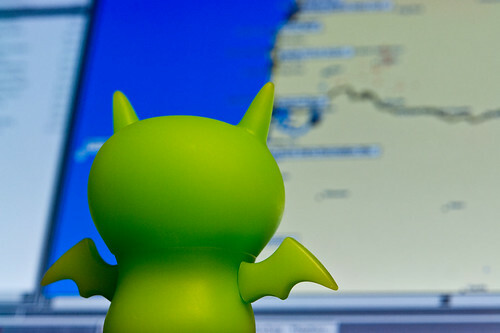 Ice-Bat was busy on the laptop this evening memorising all of the stops that Turtle put together for tomorrow's trip to the Pacific coast. After his swim in Devil's Lake at Deschultes National Park he's very interested in what the Devil's Punchbowl will have in store for us.